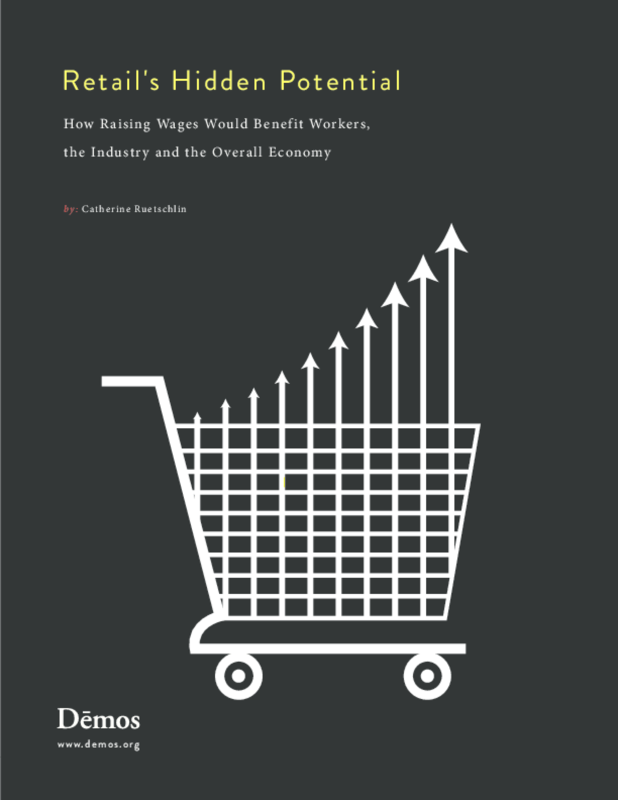 This study assumes a new wage floor for the lowest-paid retail workers equivalent to $25,000 per year for a full-time, year-round retail worker at the nation's largest retail companies -- those employing at least 1,000 workers. For the typical worker earning less than this threshold, the new floor would mean a 27 percent pay raise. Including both the direct effects of the wage raise and spillover effects, the new floor will impact more than 5 million retail workers and their families. This study examines the impact of the new wage floor on economic growth and job creation, on consumers in terms of prices, on companies in terms of profit and sales, and for retail workers in terms of their purchasing power and poverty status. We model these effects based on the 2012 March Supplement to the Current Population Survey, using retail consumer data from the Neilson Company and macroeconomic multipliers derived by Moody's Analytics. Copyright 2012 Demos: A Network for Ideas and Action.